This is a fun, intimate meeting filled with many opportunities to share ideas, treatments and topics that are relevant today. Diversity abound, about ½ of the attendees are from the EU, Australia and the East the rest typically attend from Canada and the US. If you haven’t attended the symposium in the past, this is a must-try for equine practitioners! All attendees become members, and members always receive a ‘meeting pearls’ summary and complimentary proceedings of the meeting the week following the event. 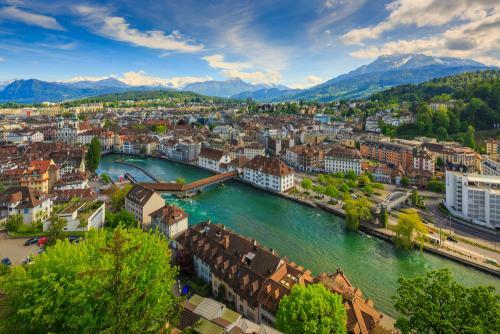 The 2020 Symposium will be held in Lucerne, Switzerland at Hotel Astoria. Nestled between a backdrop of towering mountains and a sparkling lake, Lucerne is one of Switzerland's most visited cities. Without doubt, one of the most popular Lucerne attractions is the Chapel Bridge (Kapellbrücke). Dating back to 1333, the medieval bridge is just one of many that straddles the River Reuss, but this one is recognizable by its distinctive water tower with an octagonal roof. Lucern's Altstadt (old town) is home to an array of medieval squares, cobblestone lanes and a fair share of shops, boutiques and cafes, many of which are adorned with frescoes. The program will be developed over the fall and is announced on www.equineophtho.org. Call for papers will open January 2020. Email us with any questions, office@equineophtho.org.